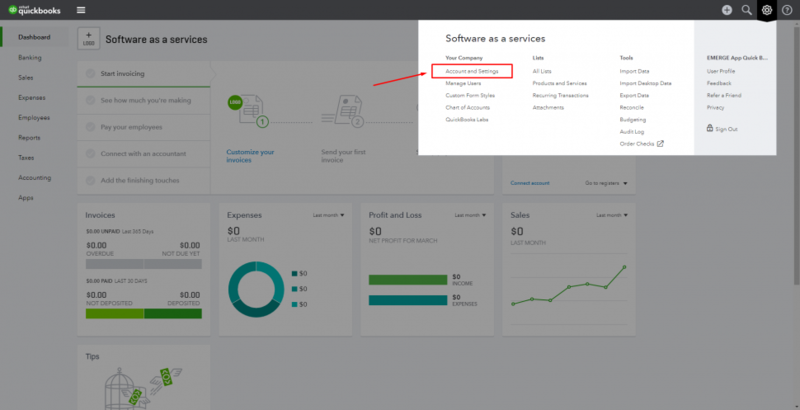 Step 1: Create a new QuickBooks account or use your existing account to connect. 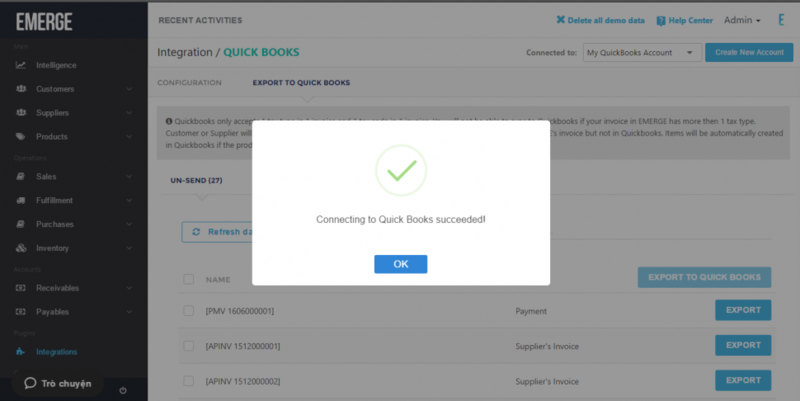 We currently support the version of QuickBooks Online Plus. If you are using another pricing plan, some features might not work correctly. 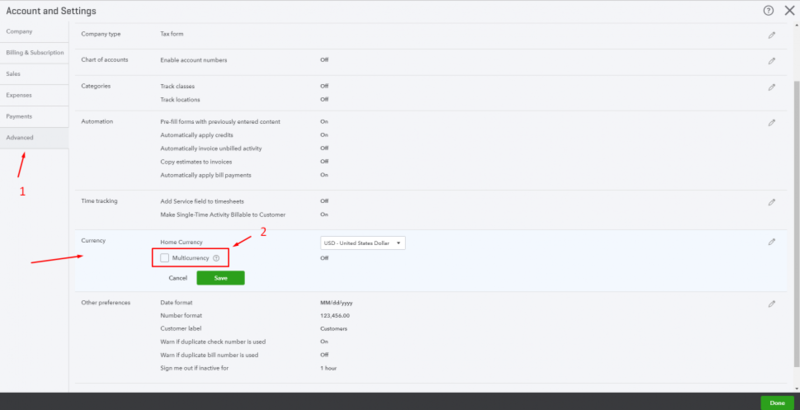 Notice: Before clicking on “Export 10 Items” there is some information that you will need to read before start exporting. 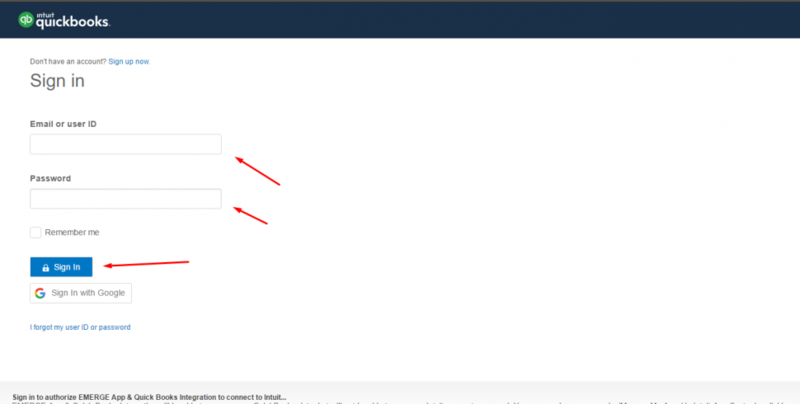 After you resolve these errors, select transaction in “ERROR” tab and click on “Retry Items”. Or you can try to export individual item by “Retry” button in every line. 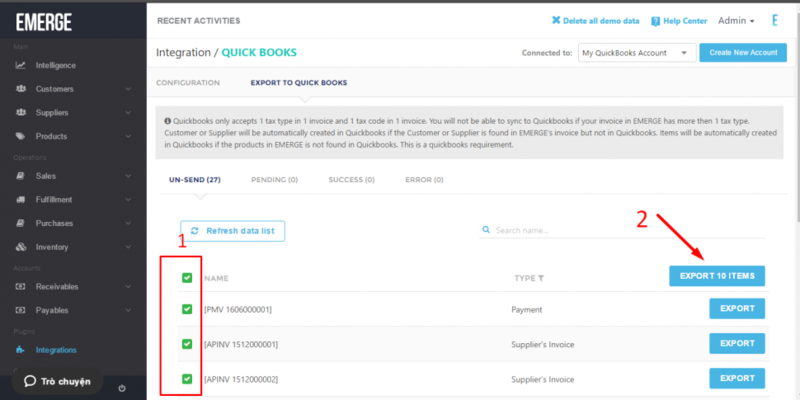 At this time, you can find your invoice in QuickBooks. 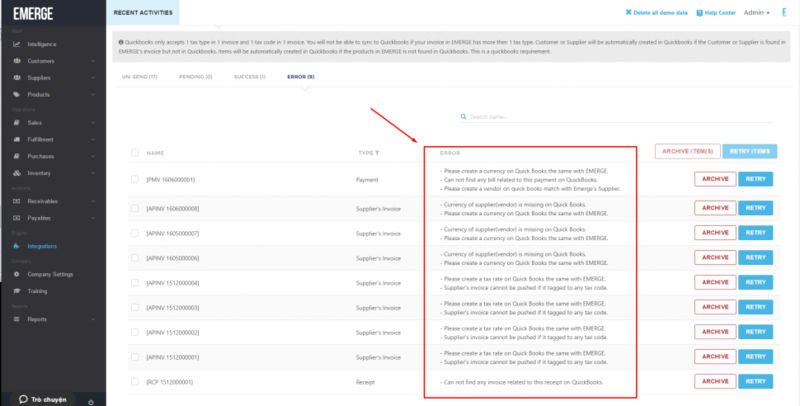 Try to search your exported transactions in Customer/Vendor module on QuickBooks. Tax rate name and percentage have to be the same with EMERGE App when you are try to export taxable invoice or payment. Step Final: If you cannot connect successfully, contact our support for more information.